Home Breast Cancer Breast Cancer Diet For Safe Survival Of Breast Cancer Women! Breast Cancer Diet For Safe Survival Of Breast Cancer Women! The nutrition plan is the best to tip the scales that will help to increase the potential for long survival. So, you have to take proper anti breast cancer diet. The breast cancer diet is to be followed for better results. Beans should be taken once or twice a day. If you are vexed to eat the beans, you can take them in salad or soup or pizza in order to boost up the fiber. Whole grain foods are to taken 3 to 6 times a day. The whole grain is rich in magnesium, vitamin E, vitamin B, fiber and iron. Anti-oxidants are present in them. Instead of white rice, it is better for you to take the whole grains like the wheat berries, brown rice, wild rice, pop corn, whole wheat, whole oats, oat meal, barley and whole rye. If you take whole grains, the heart disease is reduced by the decreased levels of blood pressure, cholesterol and blood coagulation. They also reduce the risk of other cancers. The blood glucose level is regulated in diabetic patients. Whole grains are rich in fiber content. They help in reducing the estrogen levels in the body. Breast cancer can be reduced if you take fiber containing food. Refined grains are replaced by whole grains to increase the intake of whole grains. Take the whole grain cereal in your break fast. White bread is replaced by the whole grain bread. To your vegetable soup, add barley, brown rice and wild rice. To prepare the muffins, cookies, pancakes and quick bread always use the whole wheat flour instead of the white flour. Popcorn has to be taken instead of the chips as snacks. You can take nuts several times a week as they are rich in fiber. Fruits and vegetables should be taken very often. The vegetables and fruits are rich in photochemicals, which fights with cancer. 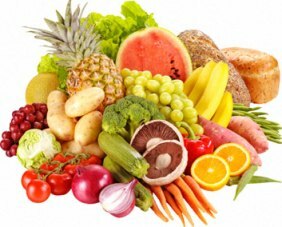 The vegetables and fruits are loaded by potassium, fiber, folate and antioxidants. These are low in calories and fat content. Take some apple bits, fresh berries and banana slices along with your cereal food. Dark green and bright colored leafy vegetables should be taken (half of your plate). Take fresh fruits as desserts. When you dine out, instead of fries take salad. Soy provides an effective protection against the breast cancer. Soy food consists of phytoestrogens that are anti-estrogen. The estrogens are blocked by phytoestrogens to reach the receptor. Women are protected potentially from the breast cancer development. Scientists found that the whole food containing the vegetables, whole grains and fruits rich in nutrients are best for cancer protection. You can reduce the breast cancer to some extent by taking the breast cancer diet, which is rich in anti-oxidants and fiber. Previous articleCan Art Therapy Help In Treating Cancer? Next articleLifelong Monitoring For Follicular Thyroid Cancer! !